First race of the season was the D33 in Aberdeen (March 17th). Just 12 months before, it was the first ultra I’d ever run and I was excited to see if I was now running better after a full season of racing. Turns out the second time at the race was no less significant but for different reasons entirely. As the title suggests this is the first race I’ve DNF’d. The dreaded stomach issues were with me the night before and didn’t get much better after breakfast. I thought I’d be fine when I started running so stuck very much with the plan and set out at a decent pace. The pressure / pain in my stomach wouldn’t shift however and after 20 miles or so, I couldn’t race any longer – I couldn’t chase the 2 in front and I couldn’t hold off those behind. The racing was over and I was stressed and disappointed. I walked for a while and considered my options – I wasn’t there just to complete it, I wanted to race and my body wouldn’t allow it. I decided then that it wasn’t worth going on. A decision that was totally right at the time but one that had some lasting effects. I still think it was the right thing for me to do. I wasn’t out to prove to myself (or anyone else for that matter) that I could run 33 miles – I’ve done it countless times. I guess it was a balance between the pain involved in finishing vs. the ‘reward’ at the end. 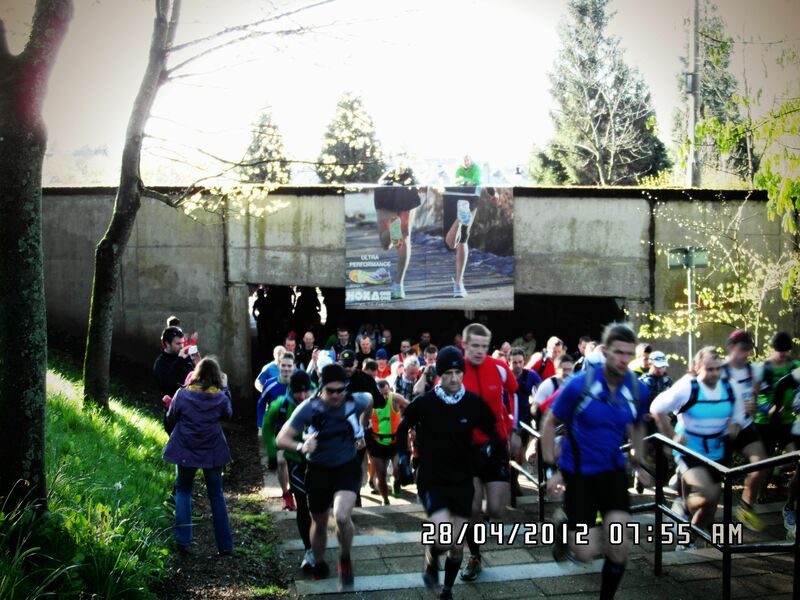 The reward not necessarily being a position, but a deliverable against my pre and in-race objectives – to run hard / race. Had there been a few miles left, or it was a race I’d never completed, maybe the decision would have been different as the balance would have swung the other way. Anyway, the over-analysis highlights the one thing I hadn’t considered at decision time. The confidence hit. Yes, I know I can run, I know I can run far and I know I am reasonably quick but it did dent my confidence and after a day or two it felt like I was starting from scratch again. Were my overall expectations too high? Had I been over-confident? Can I really run well? The following Saturday I went out early and ran 34 miles. 1 extra mile just to prove a point to myself and complete the first stage of sorting out my head I guess. From there, it’s actually been a good a thing as I questioned everything I was doing in training and I felt more willing to suffer in all sessions. 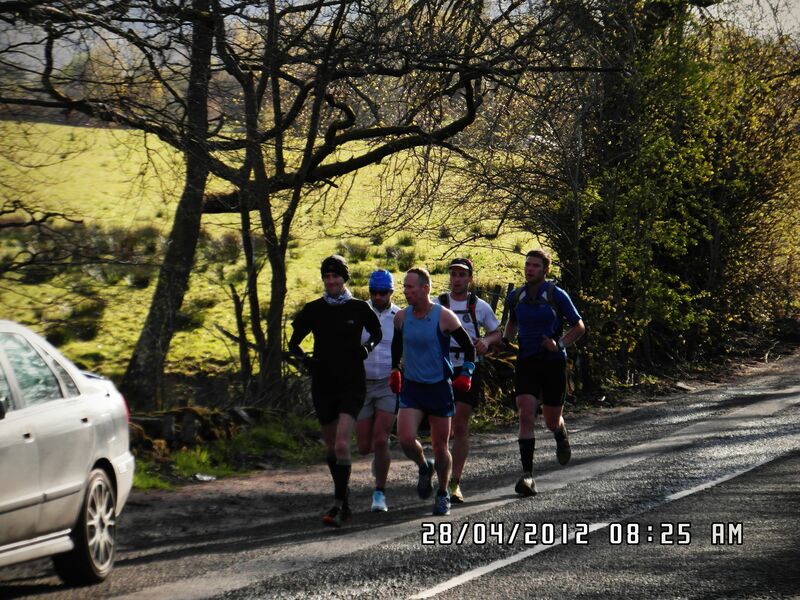 Going into the Highland Fling on Saturday (28th April) my training had been good. 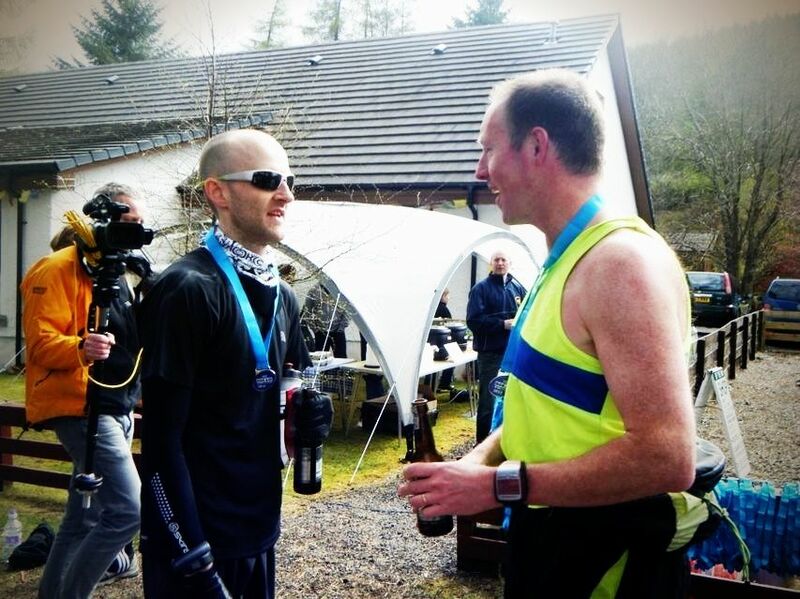 I wasn’t exactly bursting with confidence but it did at least provide an opportunity to see if I’d put the D33 DNF behind me and I could apply myself effectively to the 53 miles of West Highland Way. Overall the race went pretty well. I stuck to my plan rather than just run as hard as possible (and wait for my body to put the brakes on). I controlled my pace and absolutely loved just being out there – running, scenery, hills, other runners, family support, and no out-and-back (for a change). It was a hugely satisfying run and no amount of cramp in the last 20+ miles was going to ruin my day. I finished 21mins up on last year and in 5th place (just over 8hrs). Missing out on the award of a Scottish Athletics medal I’ll get over – it’s a shame the membership money I paid on the day wasn’t enough. Will clearly have to pay more attention next time and maybe check out the site updates. Congratulations to the winners of one – not sure who all won but a great race to do it. 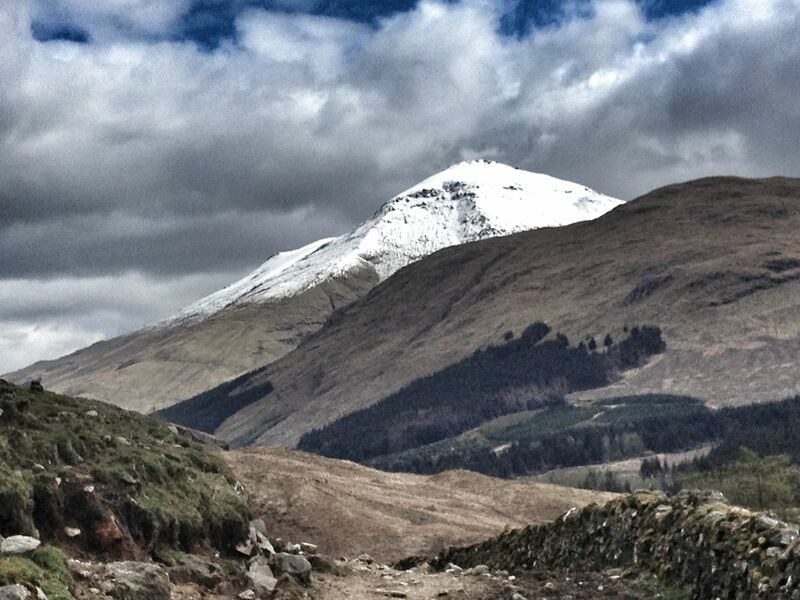 Anyway, onward and upward – plenty more fun to be had! Thanks to everyone involved in the race – a really cracking day all round. Great bunch of people too. ….and of course to the number 1 support team (Team Pyllon!) – and the brilliant twitter support. I was also treated both pre and post race by Glasgow’s finest Osteopath Daniel Gerber who really keeps me moving. Thank you! This entry was posted on May 4, 2012 by pyllon. 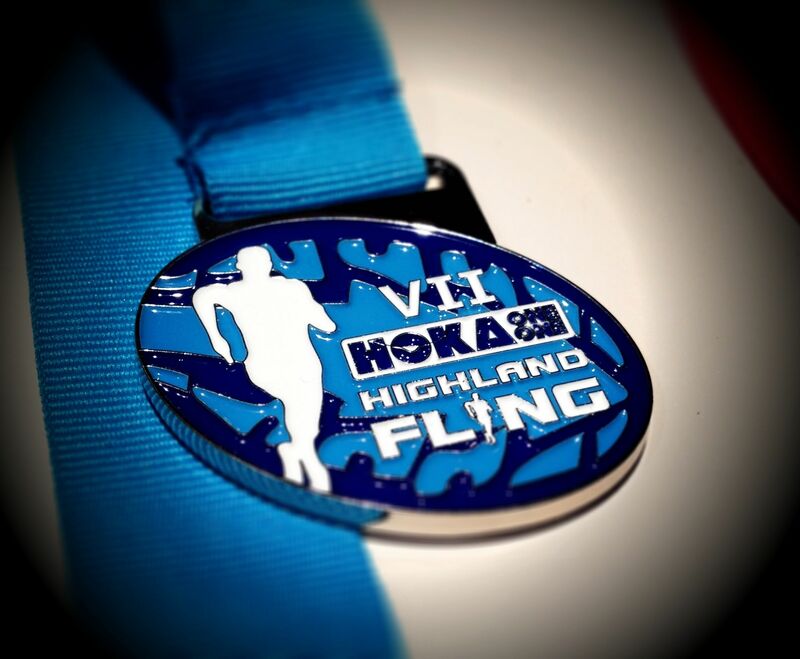 It was filed under 2012, D33, Highland Fling, Paul Giblin, Race, Running, Trail, Ultra distance, ultramarathon, West Highland Way, WHW and was tagged with 2012, D33, Highland Fling, New Balance, Paul Giblin, race, results, trail, ultra, ultramarathon, WHW. And for our European adventure. Hey Sue, that was a really lovely comment. Don’t think I deserve it but it did make me smile. Thank you!